The inaugural season of NTT IndyCar Series classic recently kicked-off in Austin, where the Ascension Seton emergency medicine team was onsite to provide trauma care. 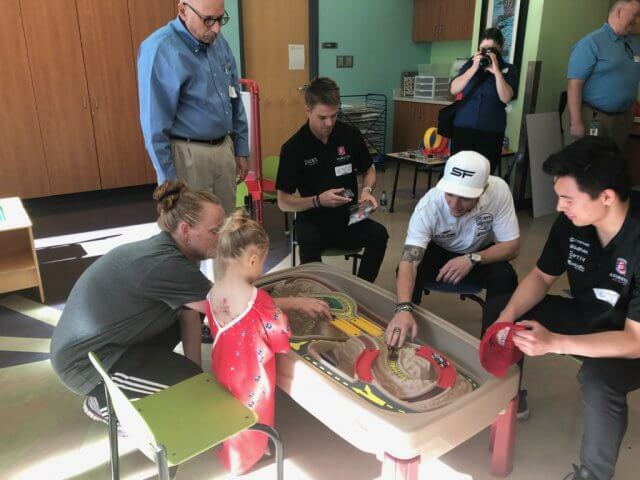 IndyCar drivers also pulled into Dell Children’s to meet with patients. IndyCar racers, Santino Ferrucci, Oliver Askew and Robert Megennis handed out Racing For Kids caps, signed autographs and chatted about racing. William Pinsky, founder and president of Racing For Kids, sponsored the visit. Racing For Kids, is a Detroit-based national charity that brings celebrity race car drivers to visit young patients and raises money for child healthcare institutions. Matthew Ache, president of iRex Group, Ltd also made a Racing For Kids donation to the hospital. 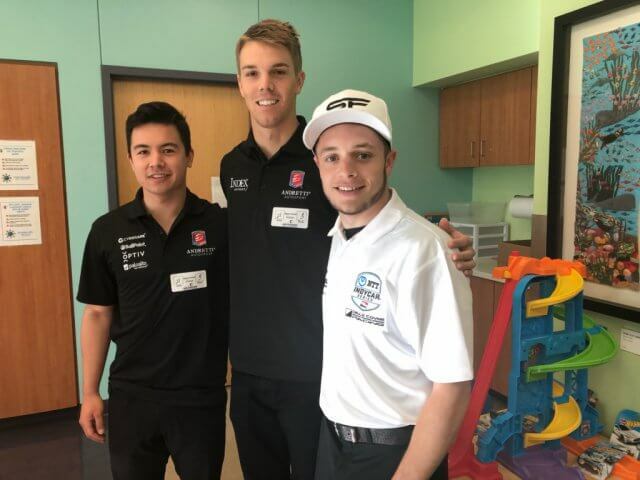 Additionally, KXAN featured IndyCar racers visiting kids at Dell Children’s.